On setting for continuous watering. Unique easy to set disc allows multiple setting points. Disc can be adjusted up or down at 12 points within a single rotation. Gardena Full or part circle pulse sprinkler on oval shaped hollow metal step spike. Specially arranged adjustment rings for simple, fine range selection from 25-360.With metal hammer and high precision brass nozzle. 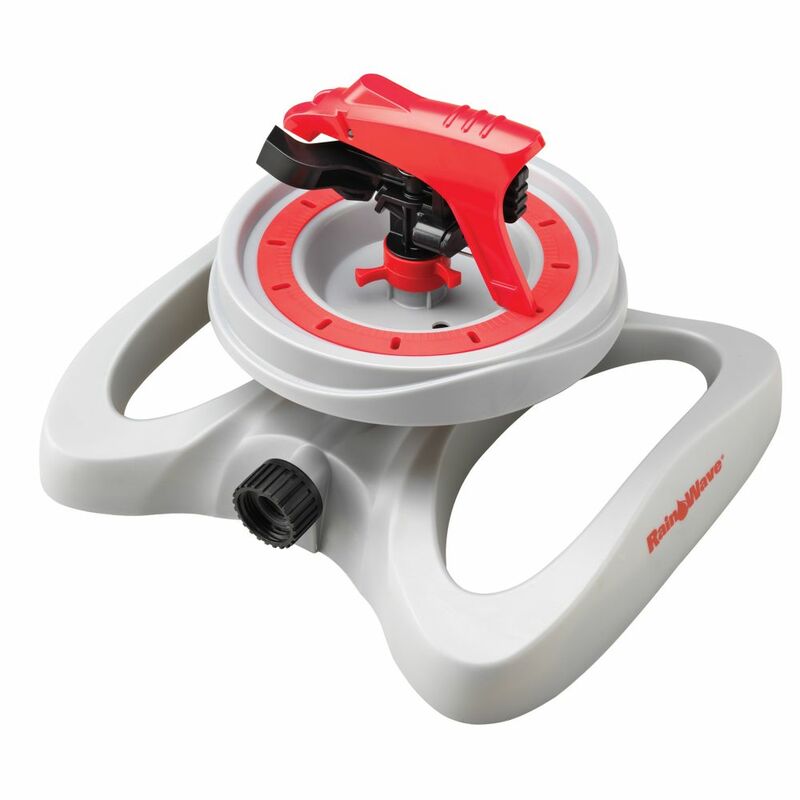 Large turning handle with soft plastic components for convenient, infinite range . Impulse Auto Select Sprinkler is rated 4.0 out of 5 by 1. Rated 4 out of 5 by scott75hd from Should be a Great Sprinkler If this works half as well as the Gilmour product they copied it from it should be an awesome sprinkler. It is twice the price of the Gilmour model but I only seem to order that online now days. So if you want a similar one that you can pick up locally this should be the best sprinkler you ever bought.